We went to Trattoria Antica Da Amedeo which is located on Via Roma 15 in Soave. We found parking right in front of the trattoria which was just perfect. Talk about lucky!! We decided to sit outside as we had two dogs with us. It was a pleasant Sunday mid afternoon with a nice breeze, so it wasn’t too hot. Again, we were lucky. First, I’d like to mention, when the menus are in 3 different languages, usually it’s not a good idea to eat at that place..
THREE places with menus in three different languages are usally places that the tourists go to. Not a place for the locals that live in that city. 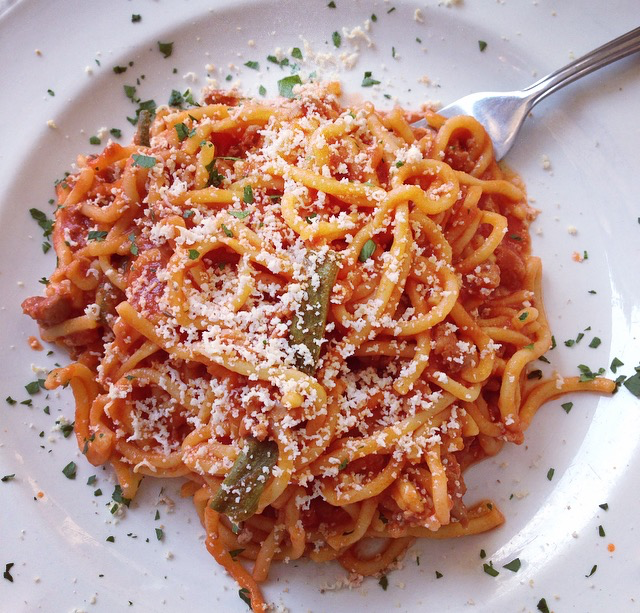 Once again, Trattoria Amedeo proved us wrong on all three levels. I am not sure why they are only rated number 16 on Tripadvisor, for me they should be in the top 3. We all decided to have pasta. The four of us all chose “Bigoli al Cimbro” . Bigoli is the type of pasta which by the way was homemade earlier in the morning, and yes you can taste the difference. Zucchini, Tomatoes, Sausage and smoked ricotta. I usually am a pretty picky eater but this was simply delicious. 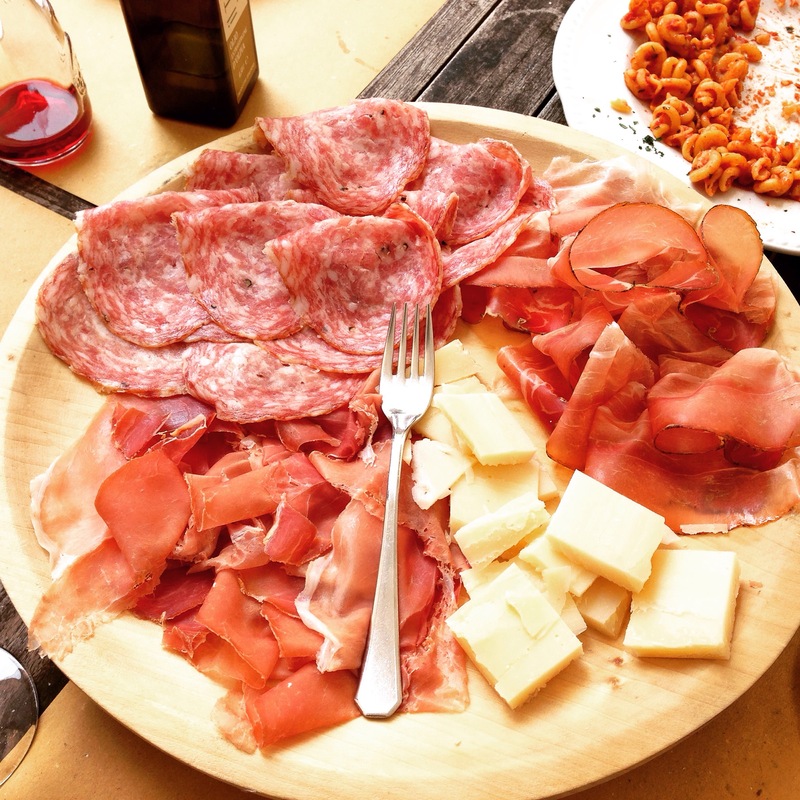 Traditional Venetian home cooking at its finest! 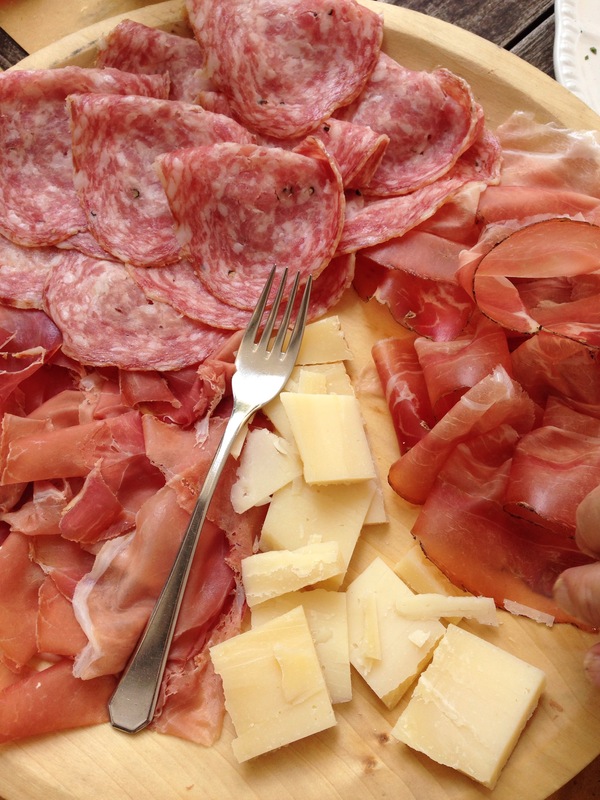 After, we decided to order a plate of Italian cured meats including Sopresa and two different types of Prosciutto crudo ( raw) that are made in Soave and formaggio ( cheese) and of course you can’t forget the basket of freshly baked home made bread to go along with it. We washed everything down with two liters of the local dry white wine.. Soave, of course and two two liters of water..
We all thought we were going to spend so much money but when my husband went to pay the bill he was surprised at how cheap it was as we ate so well. We spent less than 15 euros per person. 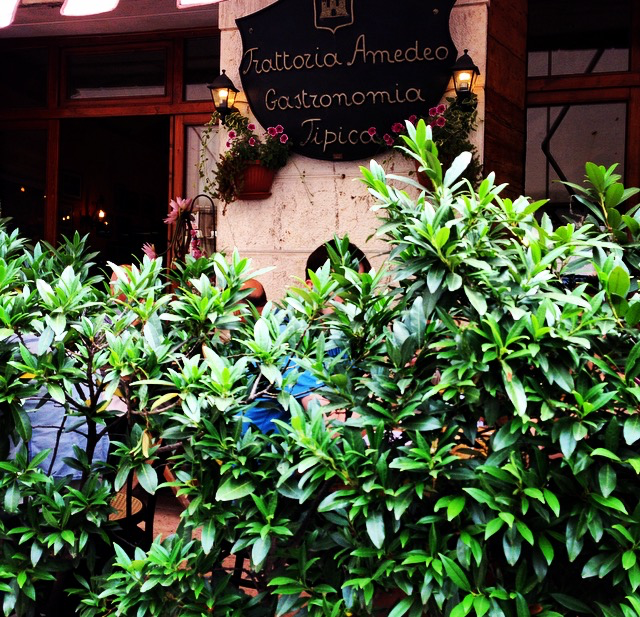 I highly recommend having lunch or dinner at Trattoria Antica Da Amedeo if ou are in the area. Bigoli al Cimbro ~ Tomatoes, Zucchini, Sausage and smoked Ricotta. Divine! A close up is a MUST! Wow! Beautiful scenery and beautiful food!!! You’d love it Mom!! Will take you there for sure! Have you had Soave wine before? Do you like it? Its a dry white wine. 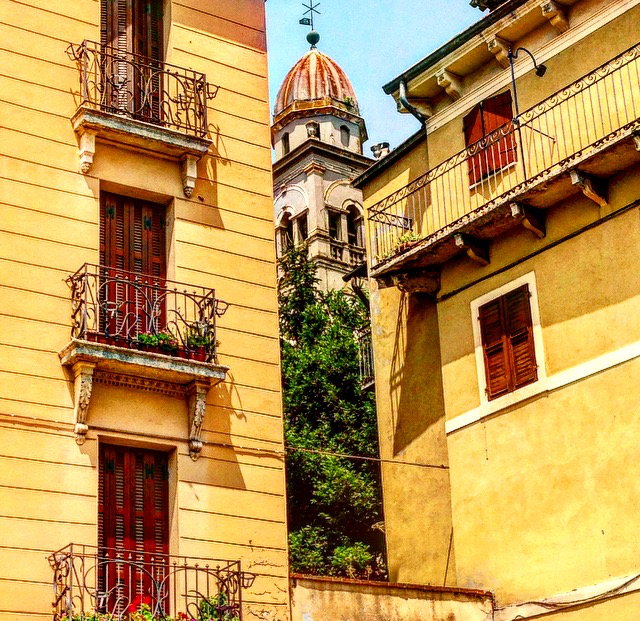 🙂 Where in Italy are you?